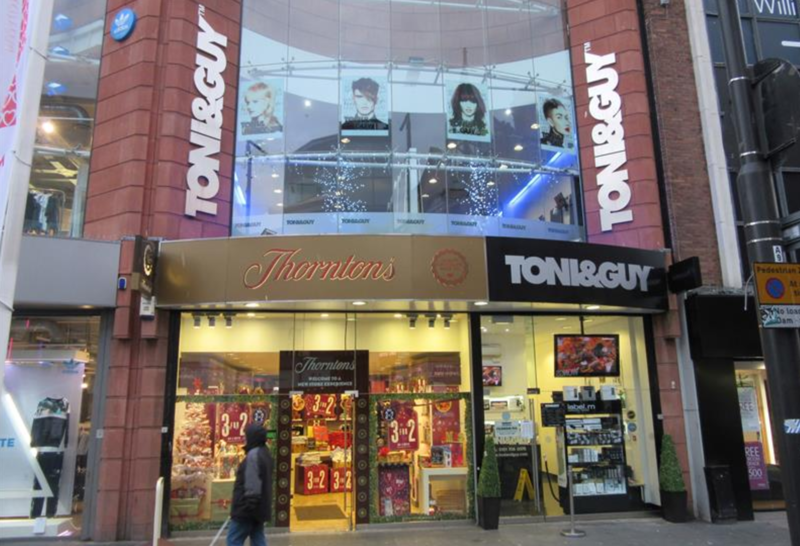 TONI&GUY Liverpool, TONI&GUY Liverpool Whitechapel opened in 1995. As a salon we pride ourselves on delivering the highest standards of customer service to each and every client. Our talented team of stylists and technicians are on hand to give you expert advice and create hair that is individual and easy to live with, interpreting fashion trends with versatile wearable styles. Members of our salon are part of the TONI&GUY Session Team and have worked alongside the International Artistic Team on catwalk shows at London Fashion Week, bringing the latest trends from the catwalk to our clients. Members of our Colour team hold the prestigious L’Oreal Colour Degree- their knowledge and expertise are on hand to advise you on the latest colours and techniques. Members of our Colour team hold the prestigious Wella Master Colour Expert accolade- their knowledge and expertise are on hand to advise you on the latest colours and techniques. We offer many additional services including Bridal and Occasion hair, the NanoKeratin Smoothing blow-dry and Raccoon Hair extensions. Our wide range of haircare products include label.m, GHD, Moroccan Oil, L’Oreal, Tangle Teezer to keep your hair salon perfect until your next visit. For more information on our services please speak to our friendly reception team who will be happy to help. Strength in Style Strength in Style is now available in this salon, offering people affected by cancer specialist support and advice on hair care. This service includes styling pre, during and post treatment hair, and wig personalisation with the option to purchase synthetic and human hair wigs. Please contact our friendly reception team for more details. We talked through the colour and cut. Staff were really friendly and looked after you. Great service. Great value for money. Thank you for leaving a 5* Review. We are so glad to hear you were happy with your experience and Hair. We look forward to seeing you again in the salon soon. The cut and keratin blow dry was brilliant, Helen’s clearly an expert and gave me really useful hair tips. Really gave me the sense she cared about me liking my haircut. Also extremely friendly, made me want to get my hair cut more regularly. Thanks so much for leaving us such a fabulous Review. A lovely relaxing hour, with good chat, and very pleased with my hair style. Thank you for taking the time to leave a 5* Review. We are so glad to hear you are happy with your hair and service here at Liverpool Whitechapel. Your lovely comments will be passed on. Wouldn't go anywhere else. Anthony so good. Thankyou so much for taking the time to leave us a 5* review! We couldn't agree more, Anthony is amazing and always delivers an excellent service! Thankyou for taking the time to leave us a 5* review! We're happy to hear your experience in the salon was great once again and we will be passing on your comments to Anthony! We cant wait to see you at your next appointment! I thought it was really good! Loved Helen and she really listened to what I wanted. The massaging chair was an unexpected treat. Loving my hair cut! Will be coming back and would recommend. We are so pleased to hear you are happy with your hair. Your lovely comments will be passed along to Helen. We love the Massaging Chairs too. We hope to see you back again in the salon soon. We look forward to seeing you at you next appointment. Great service again by Chloe and Debra . We are so happy to hear you enjoyed you Service with Chloe and Deborah. We hope to see in the salon again soon. Chloe for the colour and Nicole for the haircut and blow dry. First time in salon Chloe did Excellent job. The colour looks so natural. Also Meghan did a great finish and blow dry. Your comments with be passed on to Chloe and Meghan. Becky is a fab Stylist and we are so glad to hear you are happy. Anthony, what can l say ! He is the sweetest person ever . He always pleasant and helpful. I couldn't asked for a better stylist. Always a wonderful finish. Very pleased. Thank you for leaving us a lovely Review. Your kind comments will be passed along to Anthony. We hope to see you back in the salon again soon. Thank so much for your 5* Review. Becky is a true perfectionist and ensures to meet every clients hair needs. Thank you traveling all the way from London to visit us here at Liverpool Whitechapel, we hope to see you back again soon. Thankyou so much for taking the time to leave us a review! Its great to hear you had a good experience during your visit! We will pass on your comments to the team! We hope to see you back in the salon again soon! Thankyou so much for taking the time to leave us a 5* review! We are so pleased to hear you would recommend us! We will pass your great comments on to Becky. I have just had my second cut with Becky after having taking the plunge and having my long hair cut to collar length before Christmas. The original cut was brilliant and Becky gave me loads of great advice about looking after the condition of my hair which has really helped me. I’m delighted with this cut too and I can’t stop swishing my hair about because it feels great! Thankyou so much for taking the time to leave us a 5* review. We are so pleased to hear you have loved your hair on both occasions with Becky. She is a knowledgeable stylist and will always give you the best advice! We will pass on your fabulous comments to her! A walk in hair cut today 22nd March. Thankyou so much for taking the time to leave us a 5* review! We are so pleased to hear your experience was good from start to finish and Deborah looked after you (i did have to check what a 'coleen' was haha). I have passed your lovely comments on to her! We do hope to see you back again in the salon again soon.